Carl Woodrow has (and as may be expected) already got some and painted them and put pictures on his website. They are quite pricey in some respects, but £10 for two highly detailed models is not bad. 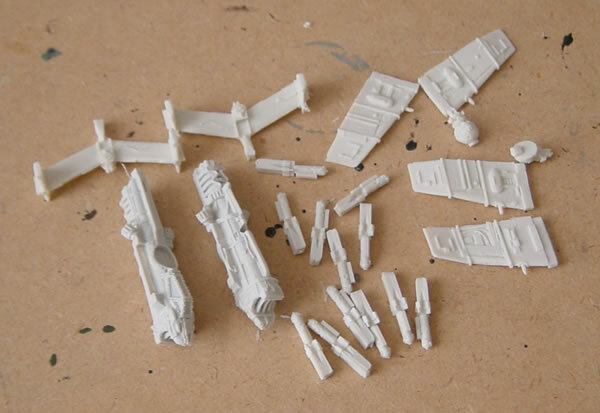 They are very finely detailed kits with lots of pieces. 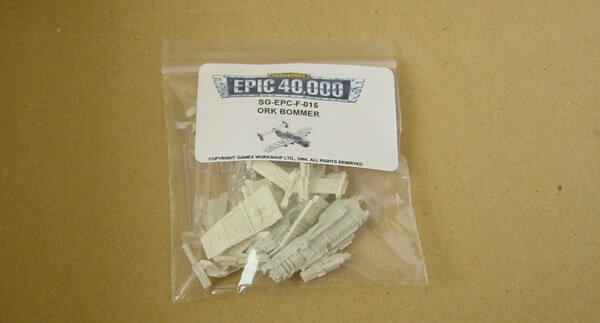 As you can see they are much bigger than the original Epic40K versions. 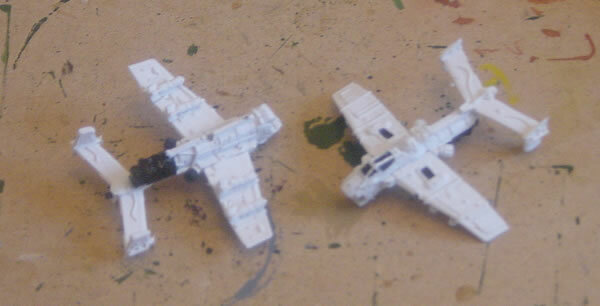 Once constructed I have undercoated mine in white paint as I am going to paint them flaming orange. The black parts will be drybrushed Boltgun Metal.